The COral Reef Airborne Laboratory’s (CORAL) three-year mission combines aerial surveys using state-of-the-art airborne imaging spectrometer technology developed by NASA's Jet Propulsion Laboratory. CORAL principal investigator and Bermuda Institute of Ocean Science (BIOS) researcher Dr Eric Hochberg said CORAL offered the clearest, most extensive picture to date of the condition of a large portion of the world's coral reefs. "This new understanding of reef condition and function will allow scientists to better predict the future of this global ecosystem and provide policymakers with better information for decisions regarding resource management," Dr Hochberg said. 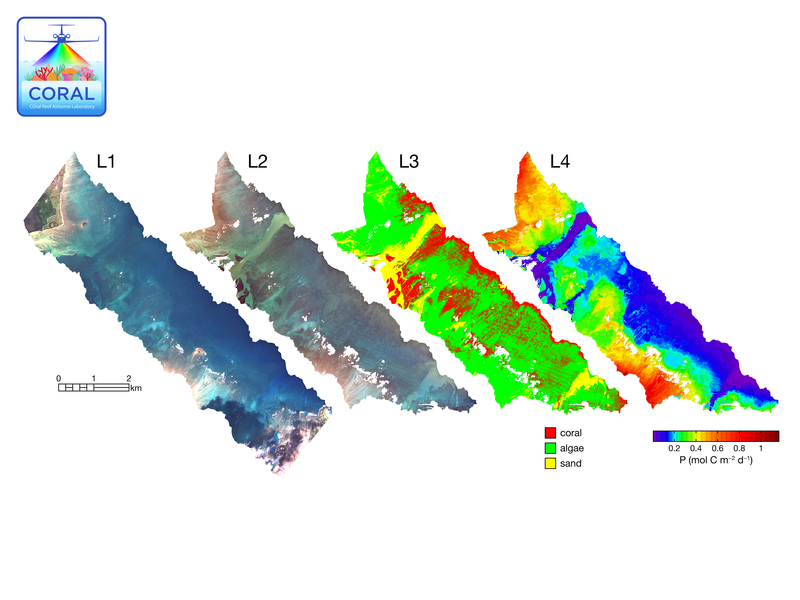 The mission will provide critical data and new models for analysing reef ecosystems from a new perspective and will generate a uniform data set for a large sample of reefs across the Pacific Ocean. In Australia, six discrete sections across the length of the Great Barrier Reef would be surveyed, from the Capricorn-Bunker Group in the south to Torres Strait in the north. Australian collaborators CSIRO and the University of Queensland would assist by conducting additional in-water validation activities. CSIRO senior scientist Tim Malthus said the Great Barrier Reef is Australia's national treasure, so having a broader understanding of its condition and what's threatening it will help us better understand how we can protect it. "Along with surveying several large sections of the reef, CORAL will also survey the health of corals in the Torres Strait, a complex high-tide area that has been historically less studied,” Mr Malthus said. “It is also opportunistic for us to see if the reef is recovering after the recent bleaching event." Dr Hochberg said the problem with current assessments of reef degradation was that the data supporting these predictions were not uniform and surprisingly sparse. "Virtually all reef assessments to date rely on in-water survey techniques that are laborious, expensive and limited in spatial scope," he said. "Very little of Earth's reef areas have been directly surveyed. “More importantly, there are no existing models that quantitatively relate reef conditions to the full range of biological and environmental factors that affect them. 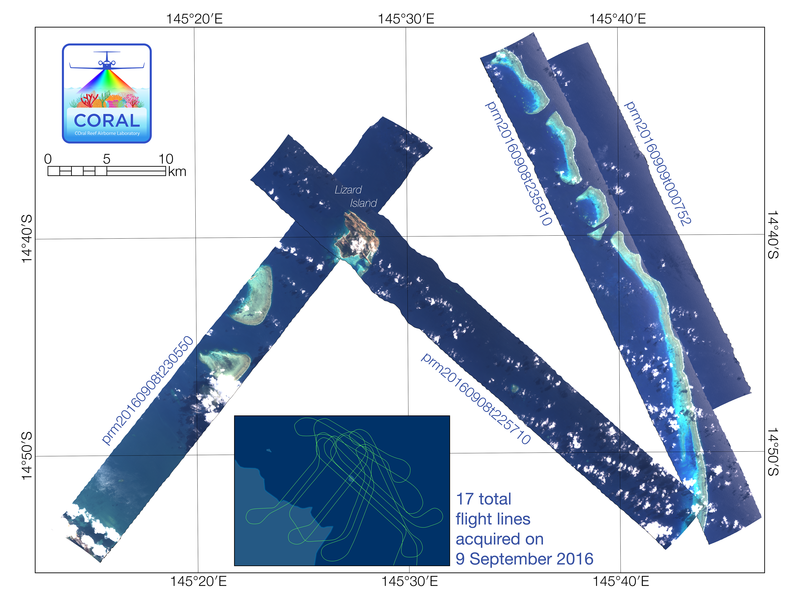 “CORAL addresses an urgent need in the face of ongoing worldwide reef degradation, and also serves as a pathfinder for a future satellite mission to globally survey the world's reefs." To accomplish its science objectives, CORAL will use JPL's Portable Remote Imaging Spectrometer (PRISM). PRISM will literally peer through the ocean's surface to generate high-resolution images of reflected light in the specific regions of the electromagnetic spectrum important to coral reef scientists. 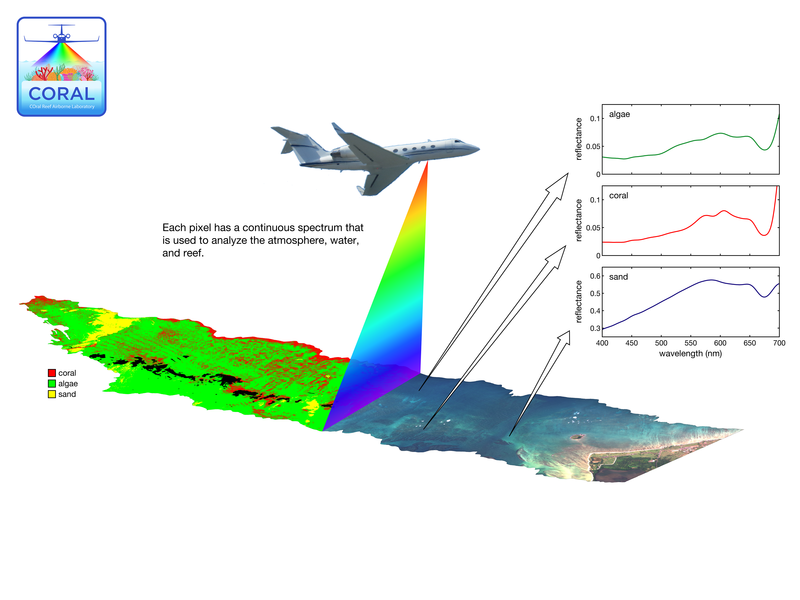 Mounted in the belly of a modified Tempus Solutions Gulfstream IV aircraft, PRISM will survey reefs from an altitude of 28,000 feet to generate calibrated scientific data products. PRISM builds on an extensive legacy of JPL spectrometers that have successfully operated for NASA and non-NASA missions.